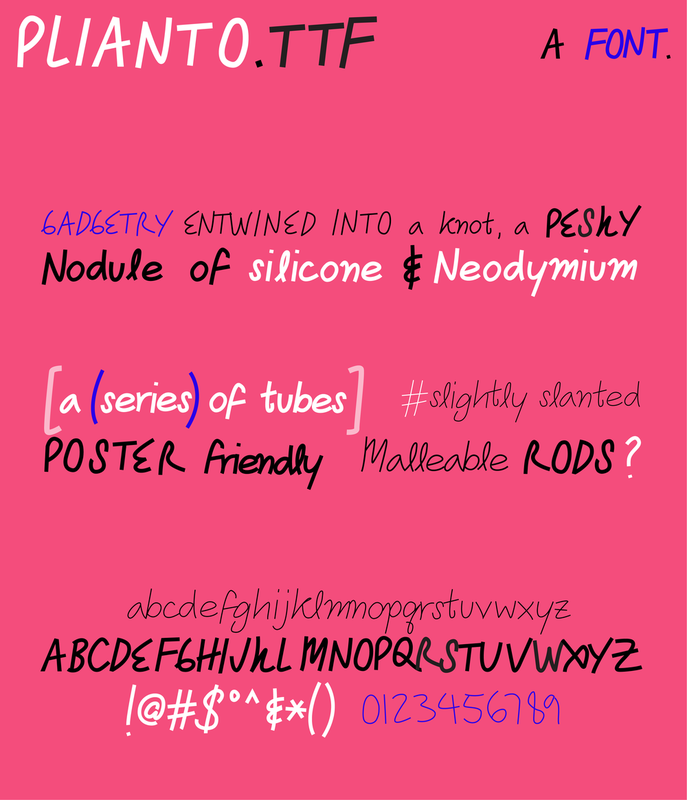 Plianto is a TTF font based on my handwriting. All characters were scanned and redrawn in Adobe Illustrator, made to look like flexible fixed-width rods. The font has thin, medium and bold variants, and is ready for use in posters and other projects.